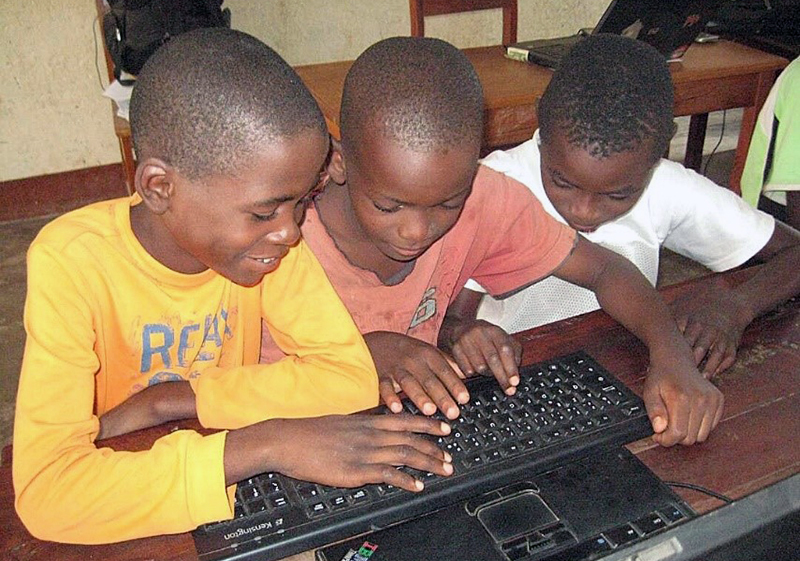 The Democratic Republic of Congo (DRC) has gained 10 places and improved its score in the latest Human Development Index, but nevertheless only eleven countries perform worse (176 out of 188 countries). Poverty is generally distributed in all ethnic groups, with a more negative incidence on women. The last available data (2012) showed that the 90% of the population are living on the poverty line with an income of 3.10 USD per day hugely affecting the life of the weakest portion of society: children. The school enrollment ratio for primary education is, in fact, of 111.9% due to the phenomenon of older children that are attending school for the first time, but it drops dramatically for secondary education (43%) and even more for tertiary education (8%). 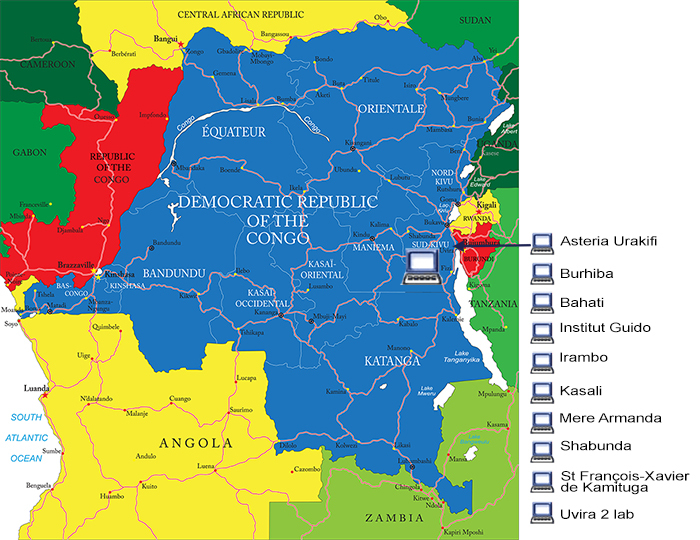 Considering this difficult context, the DRC was the first country, not belonging to the ST regions, in which the DU Program was developed in 2005, with the support of the first historic partner: Movimento per la Lotta contro la Fame nel Mondo (MLFM). With the collaboration of this organization two informatics centers were initially set up in the South Kivu Region. When the partnership ended in 2008, on the basis of the positive experience, the Foundation decided to stay active in the country setting up other DU labs. As of today 16 labs are operational and all located in the South Kivu region where the social and educational conditions are extremely difficult. In fact, in this area the purchasing power of the population is lower than in the rest of the country and as a consequence the access to a good quality education and the needed infrastructures is limited to a small portion of society. The program is giving extremely goods results and over 67,000 trainees were reached as of December 2018. You can discover the details of our labs in the map of the country.